In 1953 Mann organized the Advisory Council to the Northern Virginia Center, which held that a two-year branch college of the University of Virginia should be established. 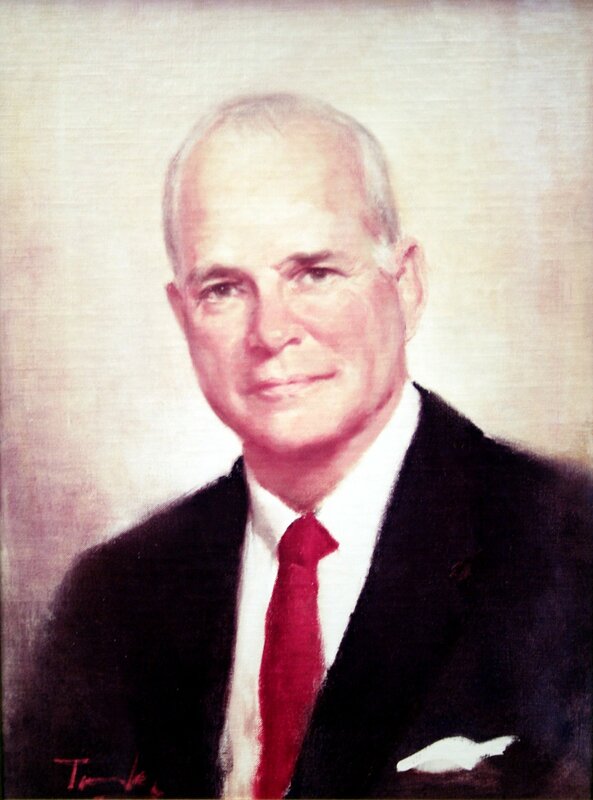 Elected as a Democrat to the Virginia House of Delegates from 1954 to 1970, Mann sponsored a resolution calling for a study of educational needs for Virginia, and was instrumental in recommending the development of a college system in Virginia, particularly the establishment of a branch in Northern Virginia. Mann was responsible for creating an educational financial assistance program for Virginia college students, and was instrumental in sponsoring legislation allowing local governments to form regional boards to acquire and transfer land and buildings for educational use. He also served as the Chairman of George Mason College's first Board of Control. He sponsored bills constituting George Mason College as a branch of the University of Virginia and later elevating it to a four year division of the University with the right to grant degrees and offer graduate program. He served on the George Mason University Board of Visitors from 1975 to 1977. He died later that year. After Mann’s death, his personal papers were donated to George Mason University Libraries. Among them is his unpublished manuscript, which he began writing in the last years of his life. The work covers the years 1949 to 1957 and details the early years of the University and its predecessor, the Northern Virginia University Center, as Mann himself experienced them. An active agent in the development of first the center and later the branch college, Mann participated in nearly all of the actions leading to the establishment of George Mason University. The 150-page manuscript provides an insider’s view into not only the events, persons, and organizations involved in the creation of the institution, but also the political atmosphere in which it all took place. It was clearly written from Mann’s own point of view, and he was quite open about certain beliefs he held. The most significant of these opinions was the notion that there existed a prejudice against the Northern Virginia region among members of Virginia’s political elite in Richmond and in other parts of the Commonwealth, as well as among including certain members of the Board of Visitors of the University of Virginia. This prejudice, Mann argued, factored into the controversy over the selection of the permanent site for the branch college during 1956-1958. Most importantly, the Mann manuscript provides a much-needed chronological sequence of the critical events beginning in 1949 and leading up to both the establishment of the institution that became George Mason University in 1957 and the acquisition of land which later became the Fairfax Campus in 1964. 1. C. Harrison Mann, Jr. Papers, George Mason University Special Collections & Archives, Box 56, Folder 8.